Emergency response personnel working in offshore oil and gas installations, engaged in production, drilling or support services. 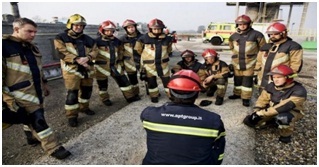 (1) Define the role and explain the key responsibilities of the Emergency Response Team Leader. (2) State the main priorities of the Emergency Response Team Leader. (3) Explain the purpose of OER arrangements and procedures. (4) Identify the typical elements of emergency response planning. (5) Identify the emergency response PPE requirements for the OERTL and the OERTM. (6) Explain the purpose of setting priorities and objectives in response to an incident. (7) Explain the importance of monitoring environmental conditions during an incident. (8) Explain the importance of monitoring human factors during an incident. (10) Delegate tasks to the OERT effectively. (11) Communicate effectively with relevant emergency response personnel. (12) Give clear and concise instructions to the OERT members during the emergency. (13) Lead the OERT in a clear and confident manner. (14) When safe to do so, direct the OERT members into the incident area – continually assessing how the changes in the emergency could impact on the safety of the OERT members. (15) Conduct dynamic risk assessments throughout the incident. (16) Look for and respond accordingly to signs of stress in individual ERT members during the emergency. (17) Effectively monitor breathing apparatus (BA) control. (18) Lead the OERT during non-fire incidents effectively. (19) Lead the OERT during firefighting operations effectively. (20) Conduct missing persons and casualty management effectively during the emergency. (1) Define the role and explain the key responsibilities of the Emergency Response Team Member. 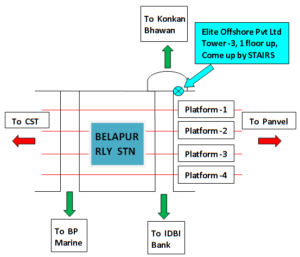 (3) Explain the purpose of offshore emergency response procedures. (4) Identify hazards and risk mitigation associated with typical offshore fire and non-fire incidents. (5) Explain the purpose of fixed fire systems offshore. (6) Understand the performance capability and limitations of typical fixed systems offshore. (7) Identify the emergency response PPE requirements for the OERTM. (8) Under directions from the OERTL: approach the incident area in a controlled manner – continually assessing how the changes in the emergency could impact on the safety of other OER team members. (12) Select and use portable fire fighting equipment. (13) Select, operate and flush foam firefighting equipment. (14) Extinguish a fire and secure an area. (15) Conduct breathing apparatus operations in accordance with OERTL directions and safe practices. (17) Demonstrate correct casualty handling and recovery techniques.